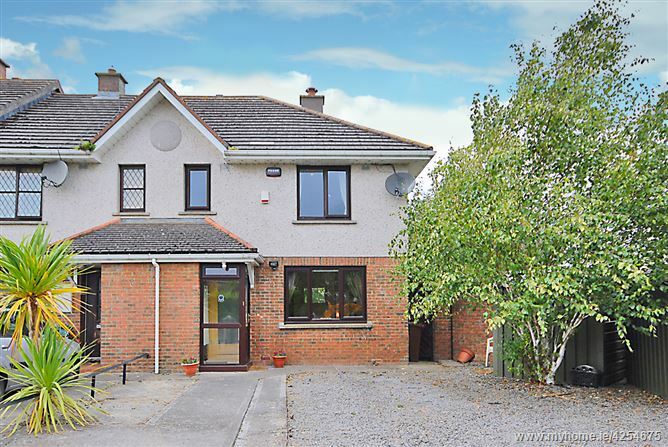 Baxter Real Estate would like to welcome you to 1 Ballyogan Park, an excellent family home in a quiet cul-de-sac with unusally large front and rear gardens. 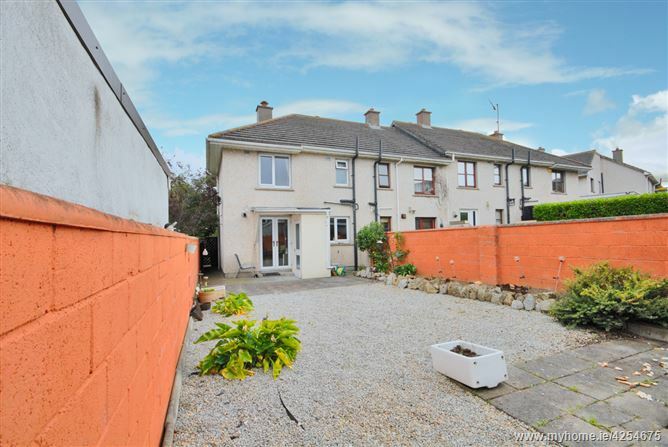 This is a well presented end of terrace property, a fine family home offering the perfect balance of living and bedroom accommodation. 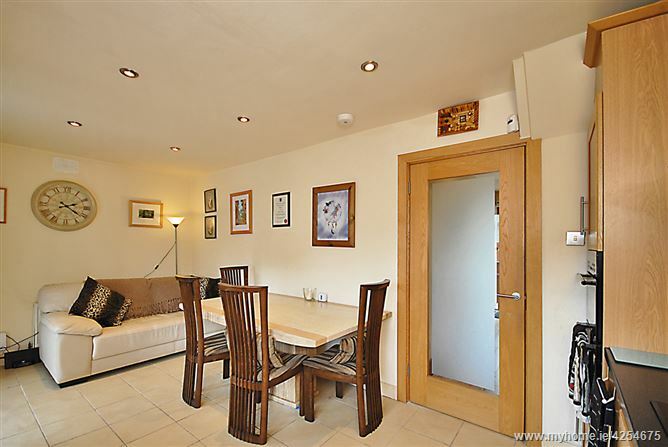 The property comprises on the ground floor of a storm porch and store, an entrance hall, living room with a semi-solid timber floor and an open fireplace, a spacious open plan modern kitchen dining room with an eye level oven, a tiled floor and French doors from the dining area to the garden. 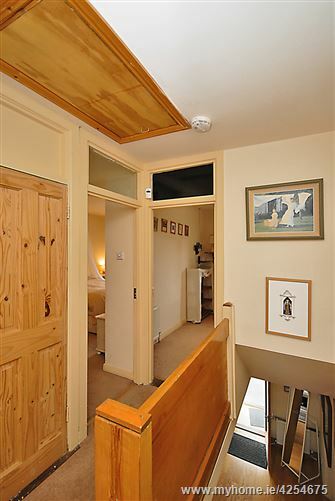 On the first floor there is a family bathroom and three good sized bedrooms, all with high quality built in wardrobes. 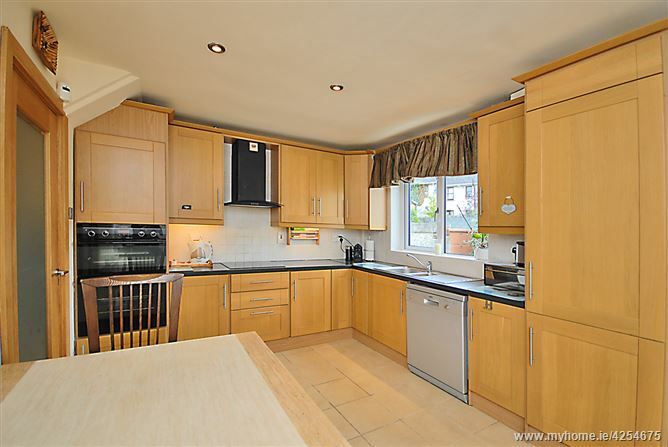 This fine property also benefits from double glazed windows, gas heating, an alarm, a maintenance free facade and a large rear garden ideally sized for all the family to enjoy. 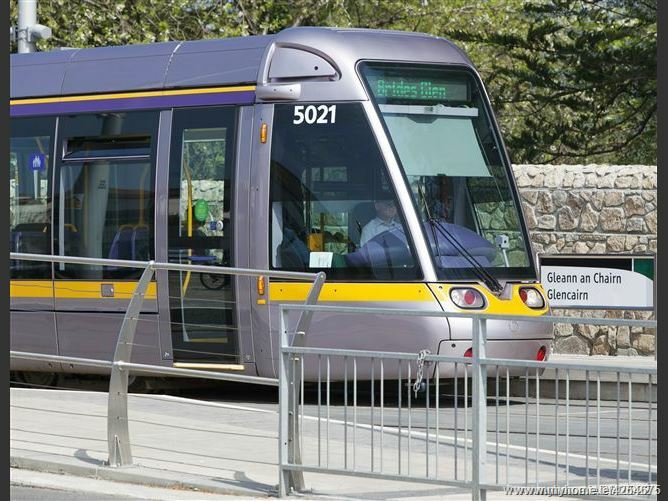 There are a wealth of facilities available close by and the location is simply superb, being just minutes’ walk to the Leopardstown Valley Luas Station through the estate, you can be in Dundrum in 15 minutes or City Centre in 30m while your choice of bars, restaurants or other entertainment is virtually unlimited. 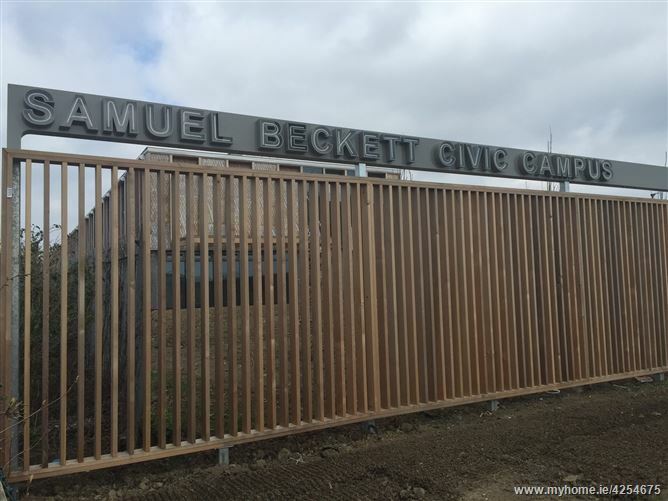 Sandyford & Dundrum are just a short drive away and with enviable proximity to many local and varied amenities that include Leopardstown Racecourse, Golf Clubs, the new Samuel Beckett Park, as well as the attractions of Powerscourt house, Leopardstown Shopping Centre to name but a few. 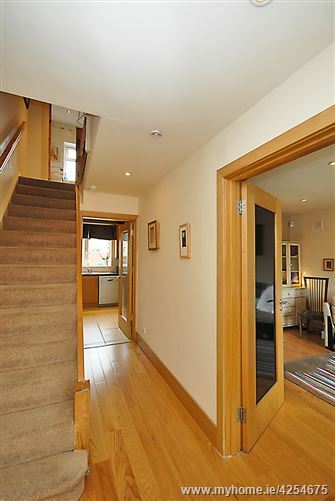 Hallway:	c. 4.81 x 1.82	Entrance hallway with a semi-solid timber floor. 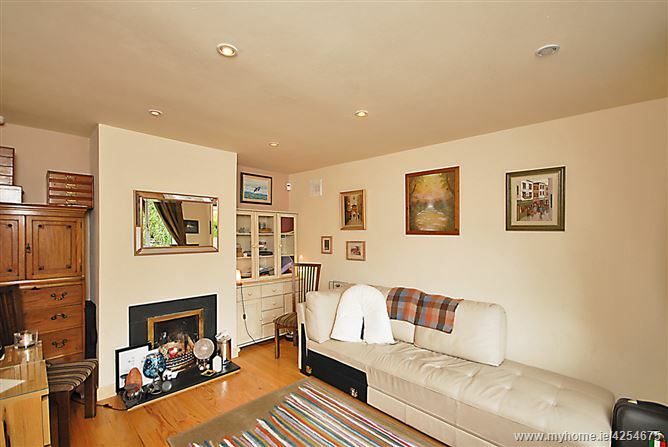 Living Room:	c.4.81 x 3.44	It has a semi-solid timber floor and an open fireplace. garden from the dining area. 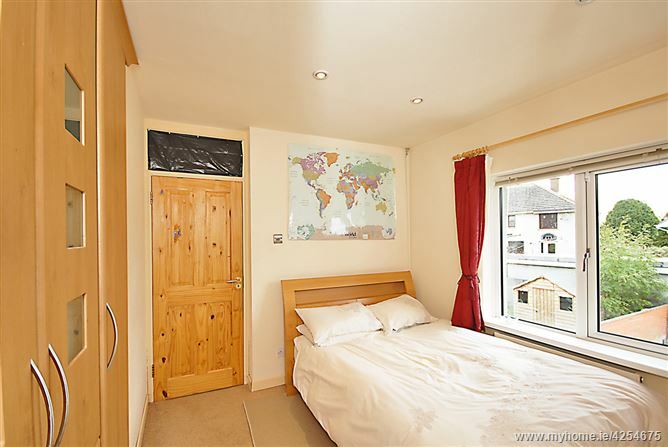 Bedroom 1:	c.3.64 x 2.98	A double bedroom with a built in wardrobe and carpet flooring. 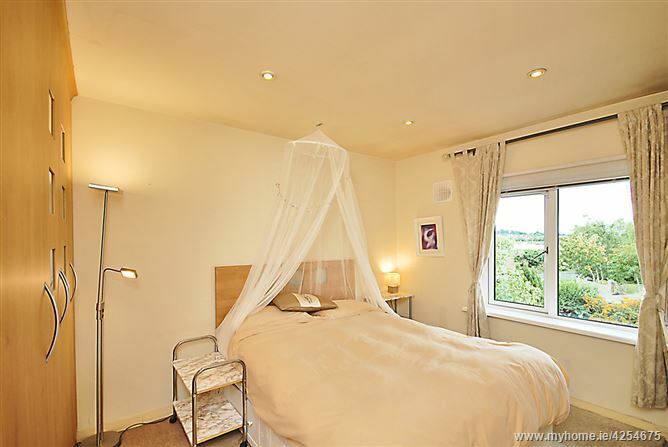 Bedroom 2:	c. 3.27 x 3.28	A double bedroom with a built in wardrobe and carpet flooring. 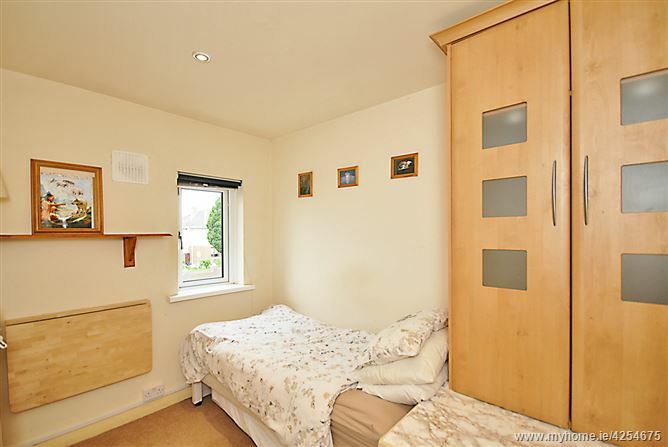 Bedroom 3:	c. 3.07 x 2.40	A single bedroom with a built in wardrobe and carpet flooring. 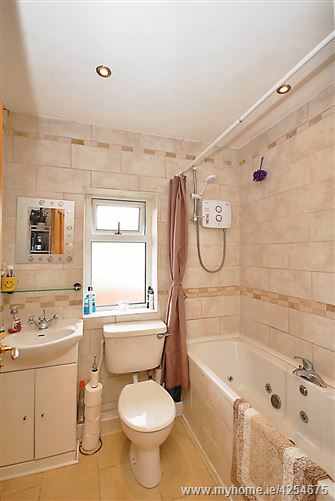 Bathroom:	c. 2.06 x 1.70	Fully tiled and with a bath, w.c. and w.h.b. 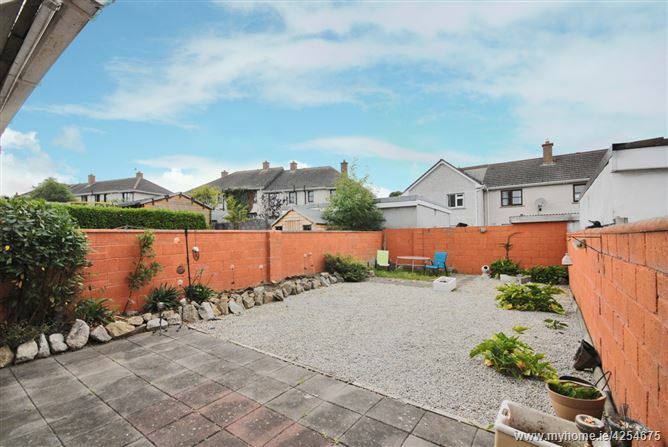 Outside:	There is a large rear garden with side pedestrian access and a generous front garden mainly paved to provide ample off-street parking for a number of cars.cars.